A lot can change in 100 years. Just take the city of Mansfield . A century ago, this southeast Texas town was a quaint, rural farming community. Over time, however, it has transformed into a bustling suburban city that some 50,000 residents call home. While the city has somehow managed to maintain its friendly, small-town atmosphere, it has also faced new challenges that are reflective of its continuing growth. But these challenges have also presented new opportunities to more effectively serve the city's ever-changing population and offer crime prevention services like never before. Like any city that has experienced growth, accommodating the various changes that result is a necessity. In Mansfield , officials recognized it was time to respond to the shifting needs of the community in the rapidly growing city – the fastest growing in the county, according to statistics. Accordingly, the Mansfield Public Safety Department was launched in 2005. Whereas each safety-oriented department once operated independently, this new entity serves as an umbrella for the fire department, the municipal courts, the police department, and the law enforcement center. By combining efforts, there is a greater flow of information between departments, which can only serve as a benefit to the community. Effectively serving the community in various areas is indeed the primary mission of the Community Resource Division, one of the divisions operating under the Mansfield Police Department. Through this division, community members are offered a wide range of public safety resources, from events in which they can participate to programs designed to provide for their additional safety. One of the most ambitious programs presented via the Community Resource Division is the Citizens Police Academy (CPA). “The purpose behind the CPA is essentially to build a better understanding of what the police do, what it takes to do it, and why,” explains Officer Nike' Duckett, who is responsible for all public education, crime prevention efforts, and crime prevention events. During the annual event, participants of the CPA meet once a week for fourteen weeks and learn about everything from family violence to DWI and what they can do to serve their community. Other programs featured include Escape School/Stranger Danger, which teaches methods for children to use if someone tries to abduct them; Family Bike Rodeo, which was created to increase awareness of traffic safety and bike safety issues for both adults and children; and “Every 15 Minutes,” a DWI education program that teaches high school juniors and seniors the potential consequences of drinking and driving. In addition, every November, the police department sets up a watch tower at various parking lots throughout the area to serve as an extra layer of protection for shoppers during the holiday season. And at the annual Hometown Festival, the division sets up its crime prevention truck and trailer, disseminates crime prevention information, offers digital fingerprinting for children, and, with the assistance of volunteers (who are graduates of the Citizens Police Academy), patrols the park to identify and assist children who have gotten lost. It is through this dynamic Neighborhood Watch effort that residents are afforded the opportunity to participate in programs specifically designed to help them to work in collaboration with law enforcement to best protect their communities. Such programs include identity theft, community awareness, and digital fingerprinting, a program offered through businesses, schools, day cares, and neighborhoods that provides the opportunity for children to have their fingerprints, photo, and information placed onto a diskette for security purposes. In the unfortunate event that they should get lost, this information would enable law enforcement to immediately generate posters, flyers, and emails. 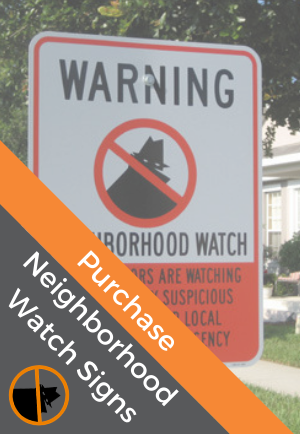 An extension of the Neighborhood Watch program, Mansfield recently added City Watch to its catalog of programs. Designed to help the business community and law enforcement develop a partnership that will enable them to target current crime trends and work together to reduce criminals' opportunities to commit crimes, the program is made up of roughly 20 businesses throughout the city. As with Neighborhood Watch, the core of the City Watch program lies in effective communication. One such means is a notification system that is operated in conjunction with the Chamber of Commerce. The system is used to distribute crime alerts to each participating business. “If there is a robbery at a bank, for example, I notify the Chamber of Commerce via email about the incident without revealing the business's identity,” explains Duckett. The Chamber then immediately faxes or emails the information directly to all Chamber of Commerce members. Duckett says that businesses that are not members of the Chamber can also register to be a part of the notification system simply by contacting her. In addition, quarterly meetings provide law enforcement the opportunity to meet with business members and offer solutions for any crime-related issues that may be occurring. “If fraud has become a problem at one business establishment, chances are, it is happening – or soon will happen – at other similar businesses in the community,” says Duckett. “These meetings enable police to alert participants to such problems and provide them with statistics and other valuable information so they can best protect themselves.” Moreover, they also provide business owners and employees the chance to network among themselves. “The networking has been incredible and very valuable for businesses and the community as a whole,” says Duckett. While the City Watch program is still in its infancy, Duckett says she has already applied for a grant that, if awarded, will be used to provide signage that will be placed in all major parking areas as well as to create a City Watch logo. Other future plans of the public safety department include a vigorous promotion of auto theft and burglary prevention, a campaign that will kick off at this year's National Night Out. The hope is to raise awareness about these crimes, which currently top the city's crime statistics, in the hope of encouraging people to take necessary measures to protect their vehicles and property.